I opt for lower operating costs. With a system for heating and cooling that consumes far less energy. 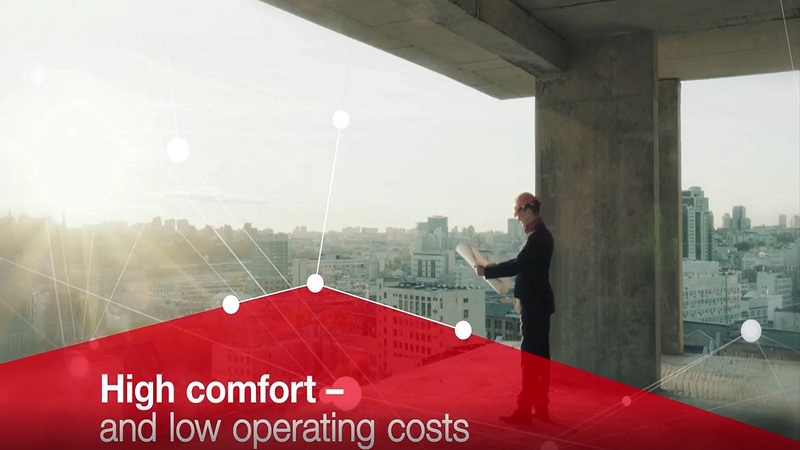 Future-proof VRF technology – freely scalable and cost-effective in every aspect. Lead. Extended. Featuring an overhauled and even more efficient compressor, a reimagined refrigerant flow and a variety of additional design ideas, the new City Multi VRF outdoor units achieve up to 33% higher SEER and SCOP values – a considerable lead in terms of seasonal energy efficiency. the outstandingly efficient aluminium flat pipe heat exchangers from the City Multi EP series enable up to 30% more efficient heat transfer compared with round pipe heat exchangers. We have now positioned these on all four sides and in the upper section of the outdoor unit, ensuring far more efficient airflow and a lower refrigerant fill quantity. A clear lead in terms of cost-effective operation. The perfect blend of comfort and efficiency: in the winter months, the new smooth auto-shift start mode quickly ensures maximum heating output. After 30 minutes, the system automatically switches to energy-efficient operation. Another lead in terms of cost-effectiveness. The noise level can now be precisely configured in five levels rather than two and with a maximum reduction of 15 dBA to suit the requirements in different locations. These more exact gradations also enable reduced power loss. 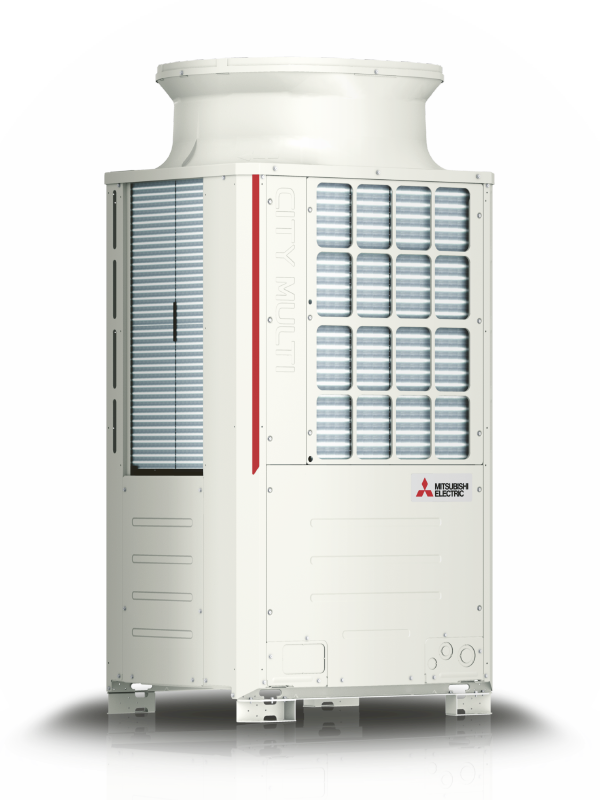 The new City Multi VRF outdoor units perform defrosting without impacting user comfort. They achieve this by slightly increasing the air outlet temperature for three minutes prior to defrosting, then continue with constant heating at up to 50% of the heating output – even during the defrosting process. This delivers uninterrupted heating comfort at a consistent level. The heat exchanger performs defrosting on alternate sides, delivering considerably greater comfort and a continuous heating output of up to 50% – even during the defrosting process. The system is ready to be equipped with refrigerant detectors for the discharge function. The USB port on the board makes it very easy to read out system operating data. This certification ensures a range of benefits, such as guaranteeing that the stated efficiency data is binding.